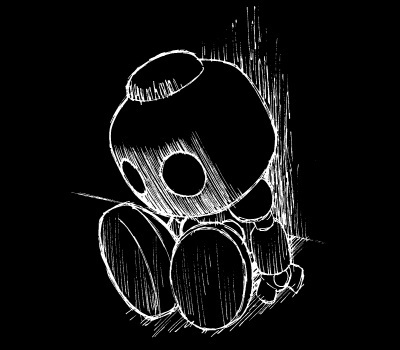 Servbots are called Kobuns in Japan. It’s a word that means “servant”, “flunky”, “toady”, “follower”, “devotee”, etc. It carries some mafia connotation as “the family” may in English, but can also be used for someone who depends on someone else as a child does its parent, which is pretty much the perfect way to describe these adorable lego-bodied henchmen and their role in the Bonne family. You’ll find the term “Kobun” in place of “Servbot” in the translation below. Though unreliable at times, they always try their best!! The Bonne Family’s loyal subordinates!! There are 40 Kobuns in all. Built by Tron whom they adore as their own mother, these cute little fellows will also faithfully carry out any order given by Tiesel or Bon. All of their maintenance and repairs are performed by Tron as well. They’re afraid of many things, but what they fear most of all is being punished by Tron herself. Kobuns are these kinds of guys! Through thick or thin, they always support the Bonne Family! The Kobuns’ very purpose in life is to serve their parental figures, the Bonne siblings. They are the very definition of loyalty. They may ride around in powerful mechas, but they themselves are not!! Compared to their strong-willed creator Tron, the Kobuns are rather capricious, cowardly characters. There’s 40 of them altogether! Although their bodies all look the same, their personalities are as unique and different as they come! They all seem to be roughly preschool age, but they are usually very steadfast and hardworking. Even when they’re attacking en masse, you still couldn’t really call them menacing. They are simply too adorable! The Road to Creating the Kobuns!! 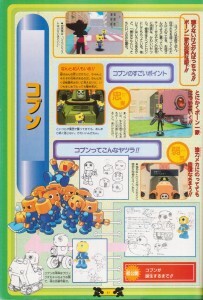 The Kobuns are essentially based around block toy heads, with bodies that can be changed out. Kobun design really didn’t change too much from the block toys that inspired them, claw hands and all. It is interesting though to see that they were once considering having their heads be removable and placed freely on various vehicles. Having numbers on their chests would certainly have made identifying them much easier, but it seems that Tron as their mother doesn’t need the numbers to tell them apart. Even more than Data, Kobuns are the lovable mascot characters for the Legends series. They appeared in every Legends game and even had a few starring roles in some Japanese cellphone releases. 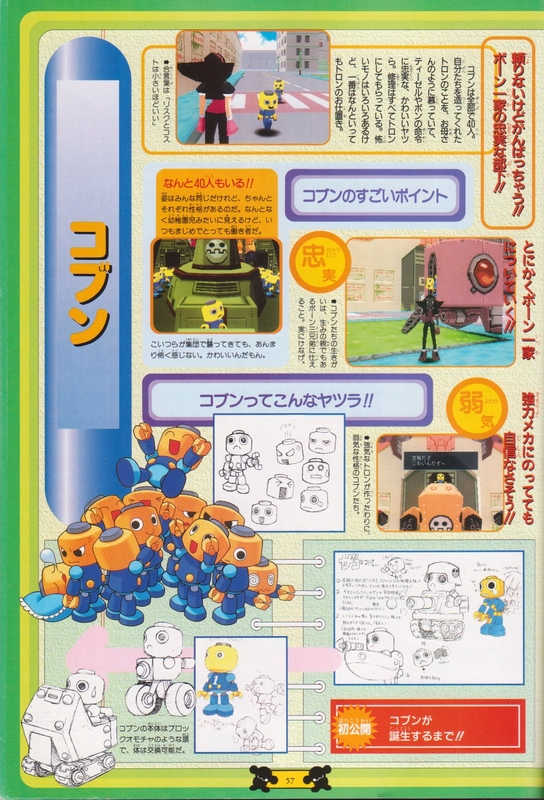 They also have had several cameos over the years, like the Mega Man Battle Network series, and in other Capcom and crossover titles like Dead Rising, Auto Modellista, Namco x Capcom and so on. They even appeared as the smallest fighters on record in Marvel vs Capcom 2, and when Tron returns in MvC3 they will as ever be by her side. With such a wealth of Kobun materials, you can expect them to be making many more appearances on this blog!